Every religious cult has a method for dealing with escapees. Fear, threats, physical cruelty, all manner of insanely abusive mayhem. Only this time, it isn’t the cult. 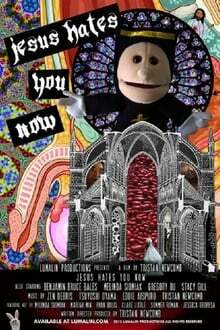 It’s a pilot for a reality TV show, rudely cobbled together by a rogue ex-psychologist and ex-academic named Dr. Gavin H. Grant, who utilizes his previous experience as a terrifying birthday party puppeteer to scare the religion right out of you.